Mentor: someone whose hindsight can become your foresight. Don’t you find this statement encouraging? There is someone willing to show you the way. Their wisdom will minimizing your trial and error factor and greatly enhance your chances for success. A mentor is an individual, usually older, always more experienced, who helps and guides another individuals development. This guidance is not done for personal gain. Mentorships are common in business and educational settings. Mentoring can take many forms. If you have ever shared your experiences to help guide another for good, you too have been a mentor. 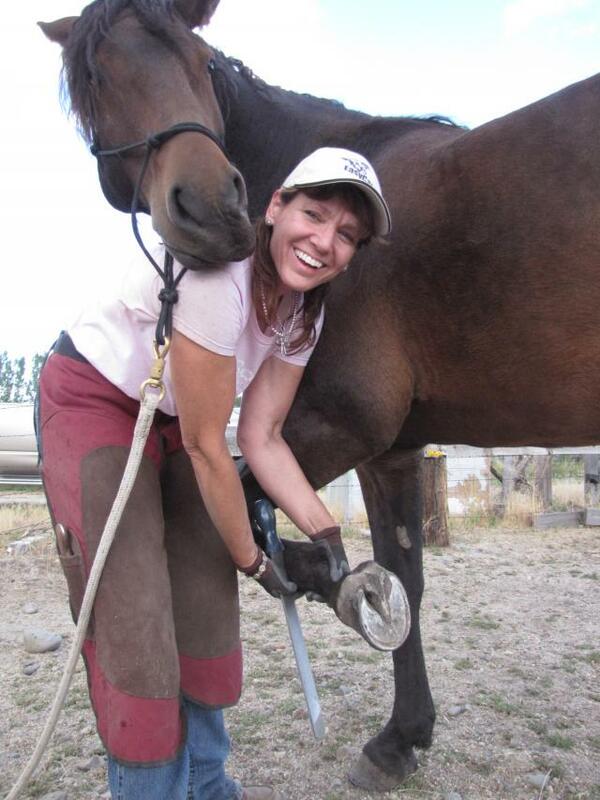 I had a golden opportunity a few weeks ago to travel to Gardnerville, NV, to mentor with hoof care professional Leslie Carrig of High Desert Hoof Care. I’ve known Leslie since she started as a dealer with EasyCare back in 2006. I’ve always admired her creativity and problem solving abilities. Her common sense to hoof care, diligent service to her clients and flat out can-do approach to business made her a poster child of “can” for clients having “can’t” moments. As you can imagine when the door opened I leaped at the chance to jump in her truck for three full days of trimming, some booting and lots of customer dynamics. Honestly, a total of five days out of the office this time of year was a bit daunting, but I went for it. 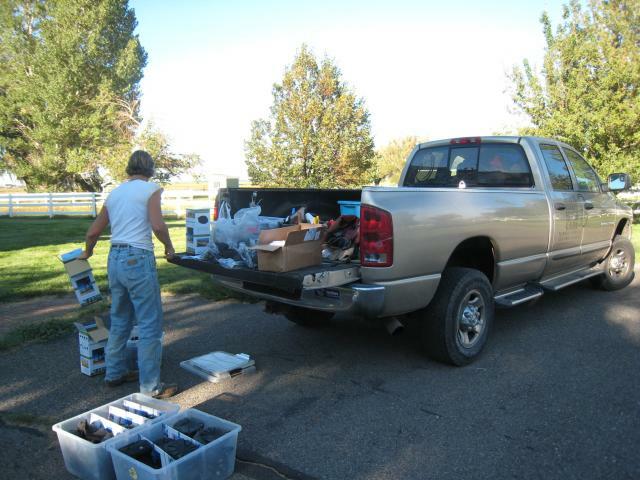 There was no question in my mind this would take my barefoot education and overall understanding of a hoof care practitioner’s life out in the field up a notch. 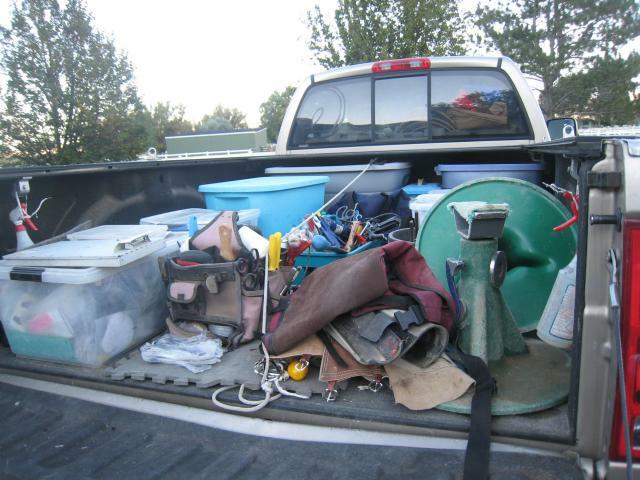 I love my job and am passionate about helping hoof care professionals. What better way to enhance my capabilities to serve practitioners than getting right in there for the full experience. Leslie had set up a gamut of horses for us to look at and trim. Each with it’s own unique story and living conditions. As we discussed each horse’s history and current situation I couldn’t help but reflect on Pete Ramey’s article, One Foot For All Seasons. The contrast in hooves was sharp as we traveled from an area of hard, desert-like conditions to horses on soft, forgiving pasture. Each situation had its own set of factors affecting the trim but the environment in which they lived and the trim needed in each environment left a strong impression on me. 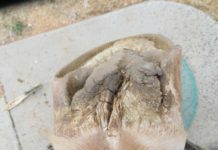 Seeing these differences are of particular interest for me because where I live a barefoot horse’s hooves are rock hard for most of the year. The contrast in the hooves and the trim needed became crystal clear seeing it first hand. As we worked though the days, Leslie helped me become more efficient with my tools and helped me to effectively negotiate nippers. I never seem to have anything to nipper on my own horse so she made sure I got plenty of nipper practice! Of course we did get some booting in and a couple of repairs out in the field which was great. The task master spared me no mercy and put me to the test, by-golly, with a box or two of Glue-On shells and Gaiters to make up some Easyboot Gloves. Gotta love those mentors! All said and done, I came away with a fresh perspective and new trimming skills. When approaching a trim I was reminded to never forget about the big picture. Leslie’s success confirms that to be effective and remain credible, you must be equipped to meet that horse’s and clients needs in as much as it is possible when you are there. Anything less is a disservice to the client and to the horse. 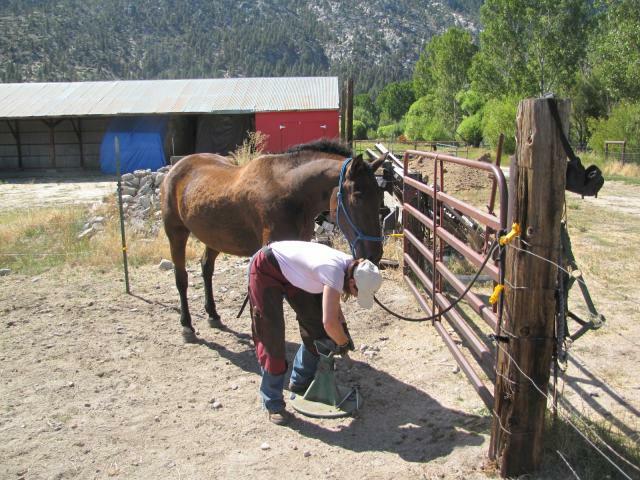 The barefoot community was built on sharing knowledge and working together for the common good of the horse. Mentoring matters. 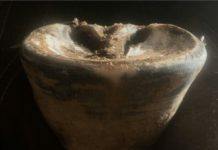 The impact of wisdom shared not only shapes the individual, it shapes the sphere of tomorrow’s barefoot trimmers and hones the skills of the trimming professional of today. 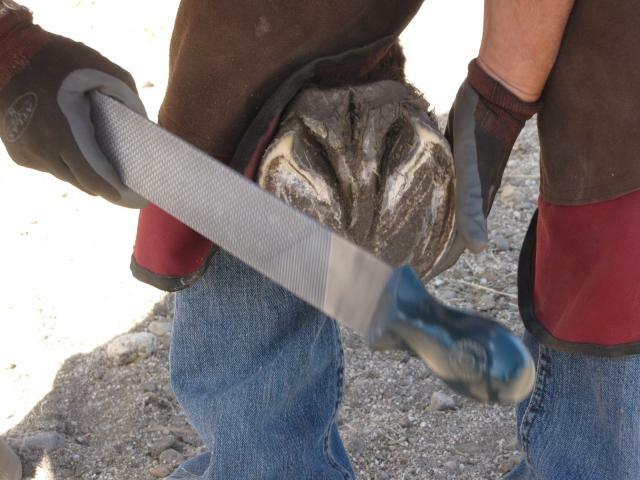 Most hoof trimming schools offer mentorship opportunities. Finding a strong mentor is one of the most important things I believe you can do for your career as a trimmer. Once you have been under a mentor’s wing, don’t forget to pay it forward and help another. We are in this journey together and when one succeeds we all succeed. Who has been your greatest mentor?